A lot of people who couldn’t go to Barbara Jeffs’ first funeral back in 2004 attended her second one, 14 years later, on Thursday. 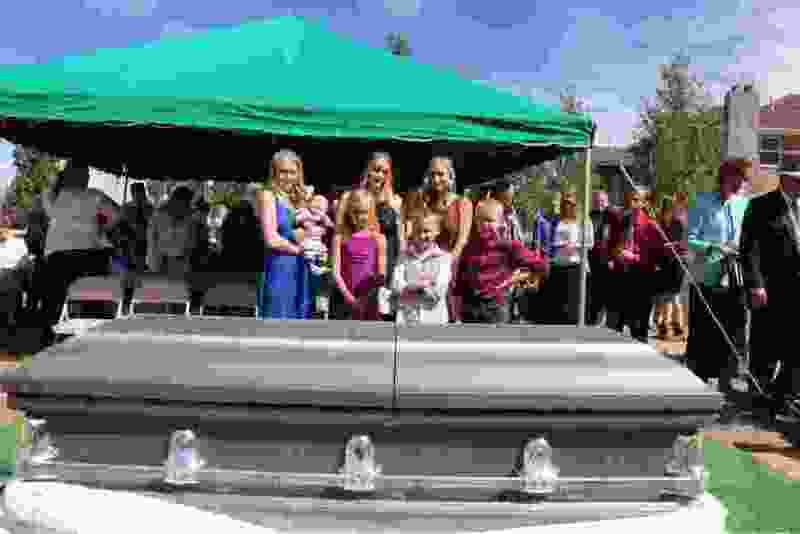 Her daughter Rachel Jeffs said about 130 people turned out to a family plot in Centennial Park, Ariz. The crowd included some of Barbara Jeffs’ children, grandchildren, siblings and at least one of her sister wives. “It was really special for everybody,” Rachel Jeffs said. Texas is probably pleased, too. Barbara Jeffs had been buried at the Yearning For Zion (YFZ) ranch, outside of Eldorado, Texas. 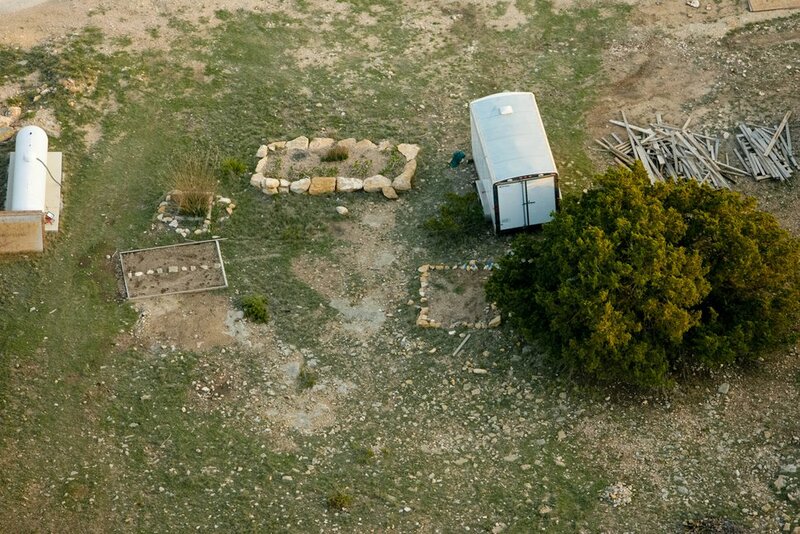 Trent Nelson | The Salt Lake Tribune These aerial views of the YFZ (Yearning for Zion) Ranch outside of Eldorado, Texas, were taken on Tuesday, April 8, 2008, just days after law enforcement officers raided the FLDS compound. A handful of residents remained on the property, along with a large number of officers who were still conducting operations. The ranch belonged to the Fundamentalist Church of Jesus Christ of Latter-Day Saints. The Lone Star State seized it in 2014 and has been trying to dispose of it ever since. Seven bodies were located in a cemetery on the ranch. That was considered a hinderance to selling the property. Texas law requires public access to any cemetery or private burial ground. So, for the past year, the local sheriff and the Texas attorney general’s office have been working to relocate the bodies. The San Angelo Standard-Times reported in April that a judge had approved removing the remains. Schleicher County had donated four burial plots, the newspaper reported. Families were taking possession of the other three bodies. The YFZ was considered a sanctuary for the chosen people of FLDS President Warren Jeffs. Even many faithful FLDS were excluded from going onto the property, and certainly no one who didn’t follow Warren Jeffs could enter. So when Barbara Jeffs — Warren Jeffs’ second wife — died from cancer in 2004 at age 39, only people on the ranch could attend the service. Rachel Jeffs says it wasn’t much of a funeral. She said her father didn’t allow any kind of a viewing line or for Barbara Jeffs’ children to participate. “He turned it into, ‘Oh, I’m so poor because my wife died,’” Rachel Jeffs said Friday in a phone interview. The plan to exhume the remains was not widely promoted, Rachel Jeffs said, partly out of fears that FLDS members would try to intervene. Bodies and funerals have been contentious issues for the FLDS. They have sought to exclude survivors who have left the church. There was concern they would go to court to stop the removal of the remains from the YFZ or to demand possession of the exhumed remains. Rachel Jeffs, who left the FLDS on Dec. 31, 2014, imagined the reaction her FLDS relatives will have when they discover her mother has been moved. The casket was flown to Las Vegas from West Texas and then driven to the Utah-Arizona line. Mortuaries handled the remains every step of the way. Family pitched in to pay the costs, which Rachel Jeffs estimated at $5,000 to $6,000. This time, Barbara Jeffs was buried next to her father, Isaac Barlow, at his house in Centennial Park, Ariz. Rachel Jeffs said her family tried to get word to relatives who are still in the FLDS. None of them attended. During the service, Rachel Jeffs thought back to the final months of her mother’s life, when Barbara Jeffs was suffering from cancer and her family was being spread from Utah to Texas. The daughter said a lot of her mother’s relatives thought about that time in their lives, too, and how they missed Barbara Jeffs’ death. “A lot of them cried,” Rachel Jeffs said. 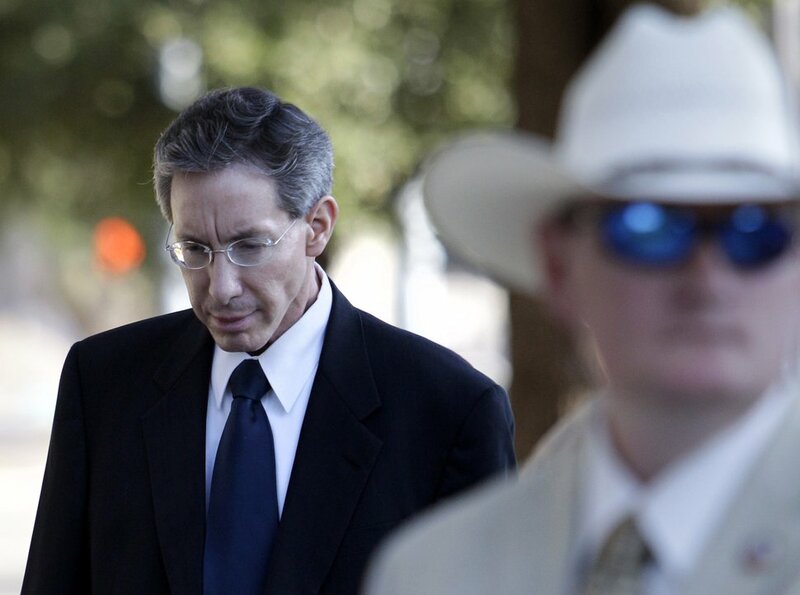 Warren Jeffs is serving a sentence of life plus 20 years in a Texas prison for crimes related to sexually assaulting two girls he married as plural wives.